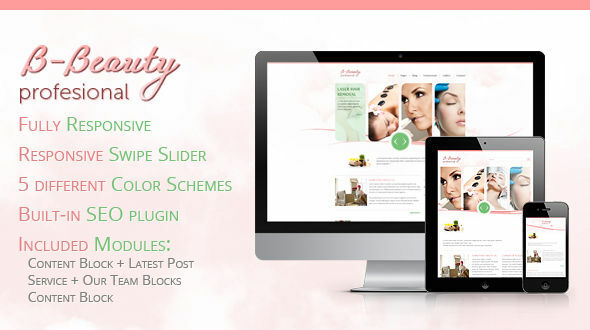 B-Beauty theme is created for the customers who want to create an elegant, lightweight website devoted to beauty. 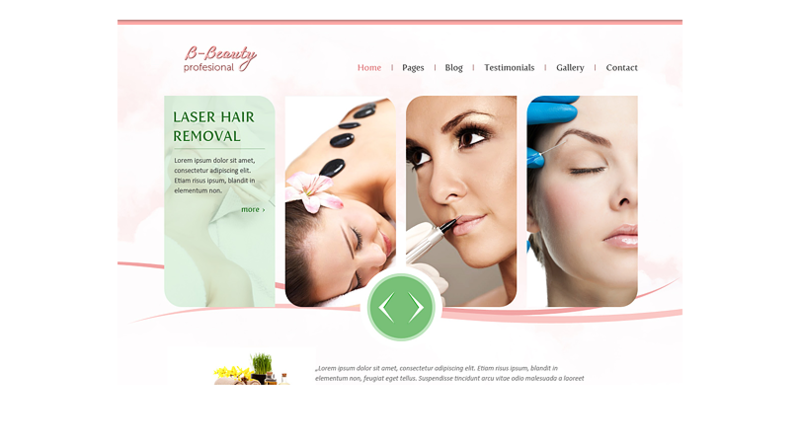 The design is ideally suited for all sites dealing with beauty, skin care and appearance. It offers a number of features that make using a website easier and more pleasant. Here you can find a special contact form with Google Maps. The theme contains specialized formats for pages descirbing a company and for customer statements. There are also rich text formatting capabilities. 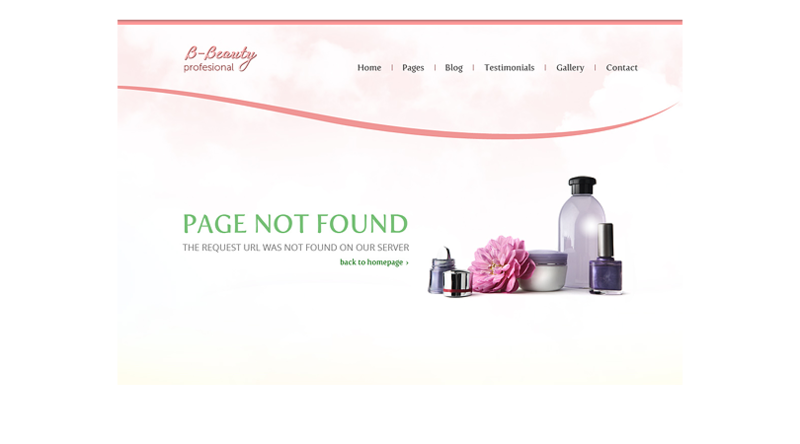 Besides, B-Beauty contains a module gallery, a blog and a simple access to social networking sites. The hompage can be easily adapted to individual needs and to match evolving demands. The ePanel is the main configuration tool, so you can easily change the basic elements in the theme, such as its color, slider or menu. It is possible to completely change the appearance of the homepage in simple way. You can also easily modify something in the advanced CSS features. For example, there is the ability to write and add CSS code in the panel. Customizing the site to your needs is easy and comfortable. In addition, the ePanel is integrated with WordPress. We have created templates to improve quick creation of the website while maintaining a high level of performance. You can quickly create a ready-made gallery, a page with contact information and links to social networking sites or a map with business location. We also created another templates to facilitate the introduction and presentation of the information. Creating a complex website has never been so easy as now. Themes are created according to the rules described in the W3C. This allows to maintain high standard of the code and its proper operation. All new changes introduced by the W3C are thoroughly analyzed. After making sure that the change will benefit, it is officially attached to the W3C standard. The organization includes 400 companies, organizations and universities. The website created according to the W3C standards is modern and trouble-free.